In recent years, counseling ideas in the Asia-Pacific region developed from construct, originating from a Euro-American framework. The implementation of such counseling ideas has presented many problems and challenges for Asian Pacific counselors. This book looks at the construct counseling in terms of both how it has been adapted in the eight Asian Pacific countries and its indigenous roots within each culture of the region. 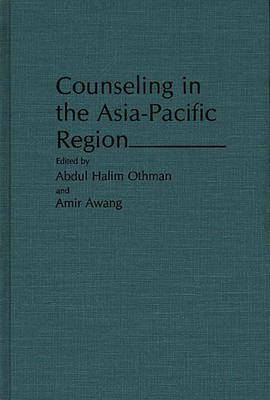 The book is a compendium of chapters written by counselors and counseling psychologists from the region. Each of the authors has been exposed to counseling as practiced in the West. However, they view these practices in a different light when faced with the problem of implementing counseling ideas in their respective societies. Counseling in elementary through higher education, ethnic and gender issues in counseling, counselor professionalization, and indigenous counseling, receive a special focus.